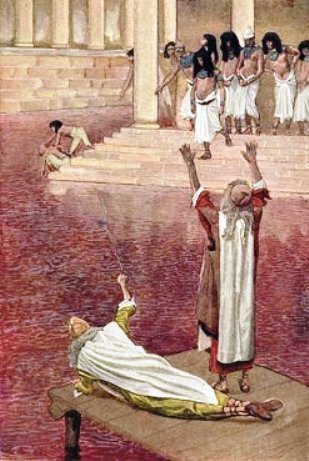 Old Testament - Exodus Chapter 5 verse 22 starts off our readings today with what seems to be an awfully bold question & complaint from Moses to God: "So Moses went back to the LORD and protested, "Why have you mistreated your own people like this, Lord? Why did you send me? Since I gave Pharaoh your message, he has been even more brutal to your people. You have not even begun to rescue them!"" That first question initially made me wince - obviously God was not mistreating his own people - Pharaoh and the foremen were. 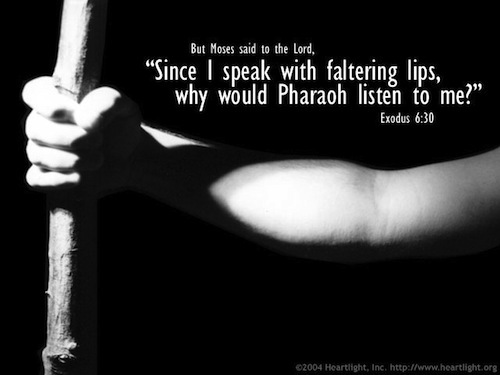 I don't fault Moses for this question, since he saw the Israelites suffering so much - and God didn't seem to fault Moses either as we see in the beginning of chapter 6 he tells Moses what he is going to do to Pharaoh - and he doesn't address Moses question & complaint. I think Moses was probably really instead trying to ask God what he gets at in the last sentence - why haven't you started your rescue of your people? Then, the second question in verse 22 above takes us back to Moses' words to God at the burning bush near Midian when God first called Moses to this task - "why me??" This second question kind of made me smile... I guess because I've probably asked this question of God a lot of times in my life in various forms - why are you asking me to do this? Why not pick someone else? Don't I have enough going on? How am I going to pull this off? Etc. Etc.... Etc.... any of these questions sound familiar to you? :) And yet, even in the midst of this protesting, God is still going to use Moses in a big way for his Kingdom purposes. I pray he will still use me in the midst of my protesting. Do you want God to still use you in the midst of your protesting? What's your protesting all about? Psalms - Psalm 23! What a Psalm!! This is the first Psalm for sure that I ever really read and was comforted by without a doubt. 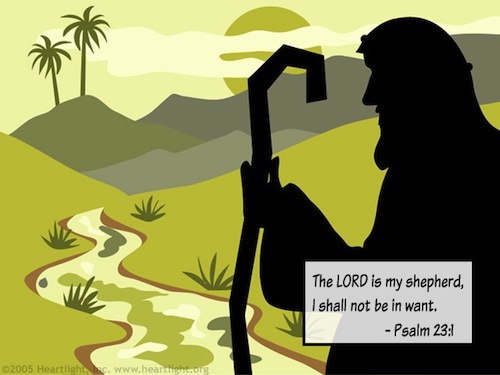 Psalm 23 is a profession of joyful trust in God as the good Shepherd-King by David. I like The Message's take on Psalm 23 at this link. Bible.org has a wonderful commentary on Psalm 23 titled "A Psalm that calms the soul" at this link. Proverbs - Proverbs chapter 5 verses 22 & 23 are just amazing wisdom for each of us of why we should FLEE from sin... don't entertain it at all! "An evil man is held captive by his own sins; they are ropes that catch and hold him. He will die for lack of self-control; he will be lost because of his incredible folly." Please know that if for some reason you are caught in the ropes of sin, please know that Jesus can truly set you free. Please pray for this freedom in Christ. 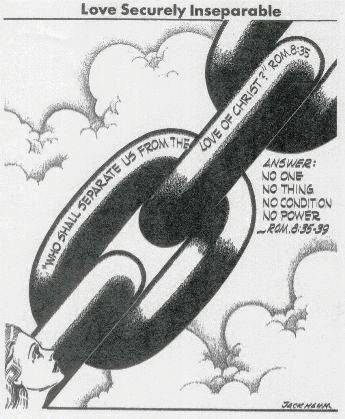 Only in Christ are we truly set free! Please seek this freedom in Christ with all of your heart, mind, soul, and strength. Don't die for lack of self-control. Don't be lost because of the folly of sin. 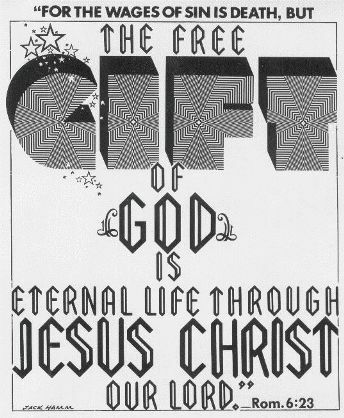 Please accept the free gift that Jesus offers you this very day. Worship God: Have you seen the video yet of a young princess (see her T-shirt :) reciting Psalm 23?? This is a must see. I pray this inspires you to memorize and meditate upon Scripture! Is the Lord your shepherd? Click here to meet your shepherd! Prayer Point: Pray that you would memorize Psalm 23 today. And pray that you would believe and live out Psalm 23 all the days of your life. Comments from You and Questions of the Day: Based on the topic of divorce that comes up in today's Matthew readings, please do share your wisdom / thoughts / books / websites / other resources on this topic. Please be graceful in your remarks as many of our participants have gone through a divorce. If you yourself have been through a divorce, and are willing to share your learnings / experiences from it, this could be beneficial perhaps to some others who might read your comments. But I can understand if it's too much to post up publicly thoughts on this topic in this type of forum. Also, what verses or insights stand out to you in today's readings? Please post up by clicking on the "Comments" link below! We are a people of comfort and status quo. No matter how miserable we are in a comfortable place, we find comfort in our misery. I believe the plagues and Pharaoh’s stubbornness were needed to challenge the Egyptians’ gods but also to set up both Egypt and Israel to disengage from each other. 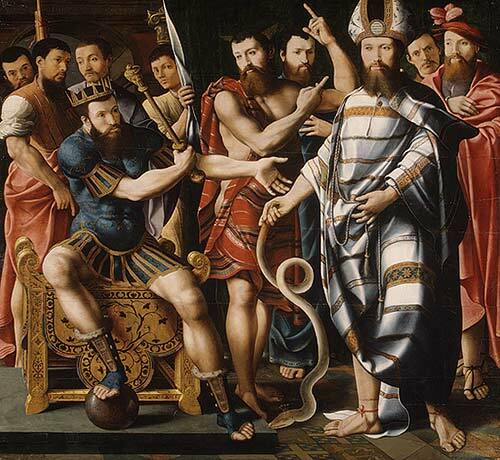 Israel had to become a stench in the nostrils of Egypt and Israel needed to become reacquainted with the power of their God. God was making sure bridges were being burned. Being oppressed and or being in slavery destroys self-initiative because a hopelessness sets in and then one develops a sick heart (Proverbs 13:12). When your heart is sick, blood circulation is hindered and the “body” doesn’t “act” the way it is suppose to. So, not only was it necessary to bring Egypt to her knees, Israel had to move from the mindset of a slave to one of freedom. Freedom isn’t free and requires a purchase price of responsible mind. But freedom means you become aware of your value to yourself, to others and most definitely your value to God. Moving from welfare/dole, being enslaved or dependent on the government requires one to believe that there are gifts, talents, and abilities inside that can make one sufficient. Many times that means one has to get in touch with God to discover the gift God has placed within and how to use that gift in the market place. I know about moving from welfare to work and what it takes to cross that divide, courage. However, usually, that courage comes by way of crises. Comments/Q.O.T.D: I have never been through a divorce but I have had family members who have. I can say from their experience-God gives you, beauty for ashes and from some of my family's experiences they have finally met their forever love- through prayer, patience, waiting on God's timing it will come. God bless.